Thank you for your kind email and your reception report. Thank you also for your nice QSL. I'm located in central part of Belgium (province Hainaut) but near the french border. I'm 54 years young (!) and I have always be interested by radio, specially MW and SW since I was around 12 years. I just began pirate SW since a few months. It's just for the fun. 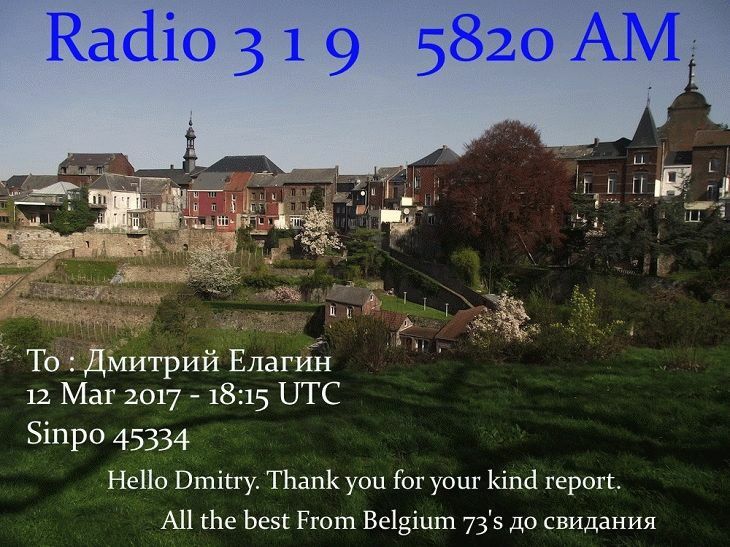 Here is a little eQSL, the photo is mine, this is a small town in my region.